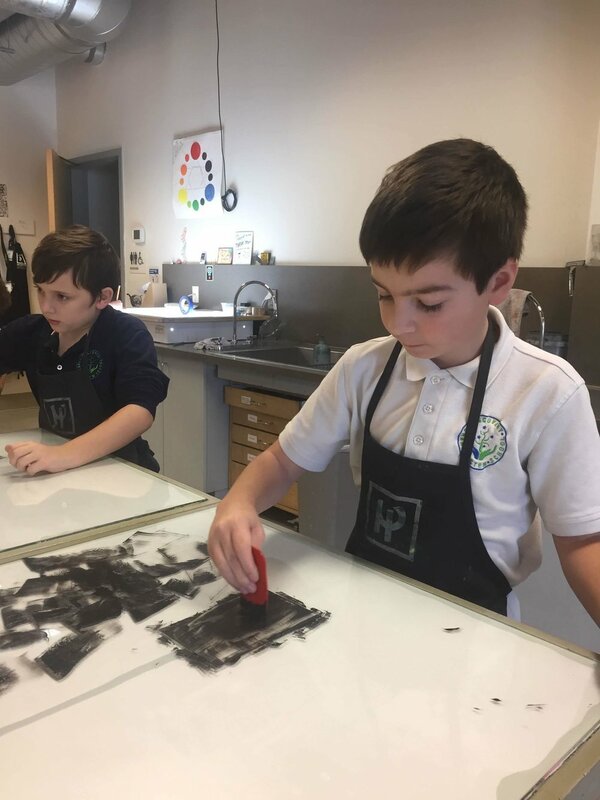 Our K-7 Art program is a blended model of Teaching for Artistic Behavior (TAB) and Teacher-Directed curriculum. Our curriculum meets State and National Core Standards as well as the Studio Habits of Mind. 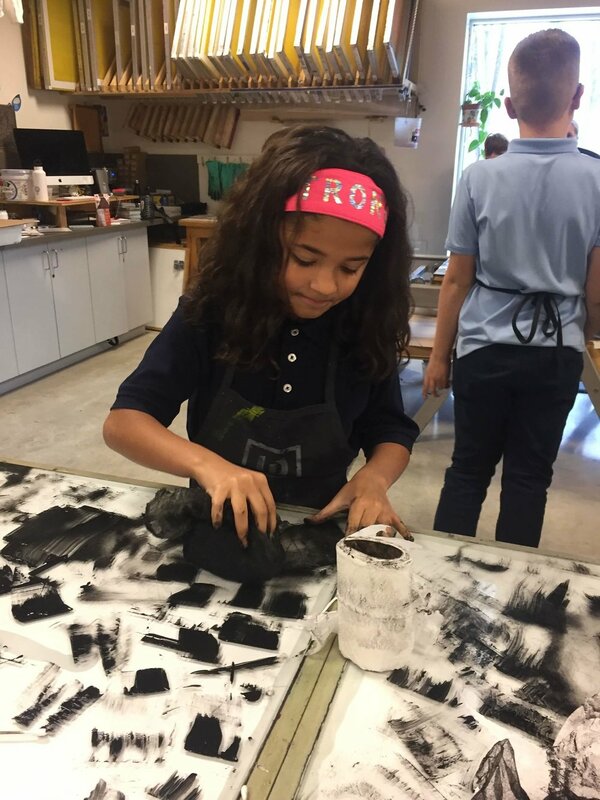 We believe that a blended model of Choice-Based and Teacher-Directed artmaking encourages 21st century learning skills and creative thinking; perfect for our STEM students. 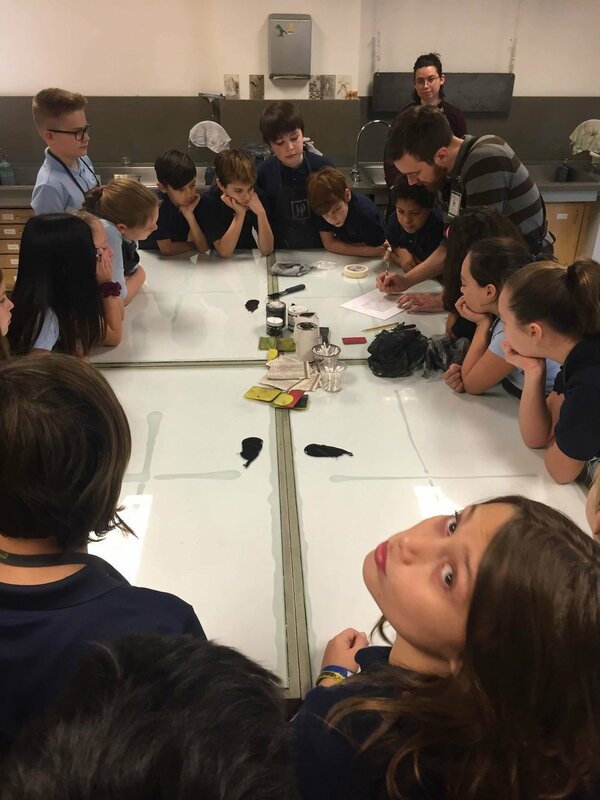 STEAM lessons are incorporated into the curriculum often, tying Science, Technology, Engineering, and Mathematics into authentic Art learning. K-7 Students are Doodling for Google! 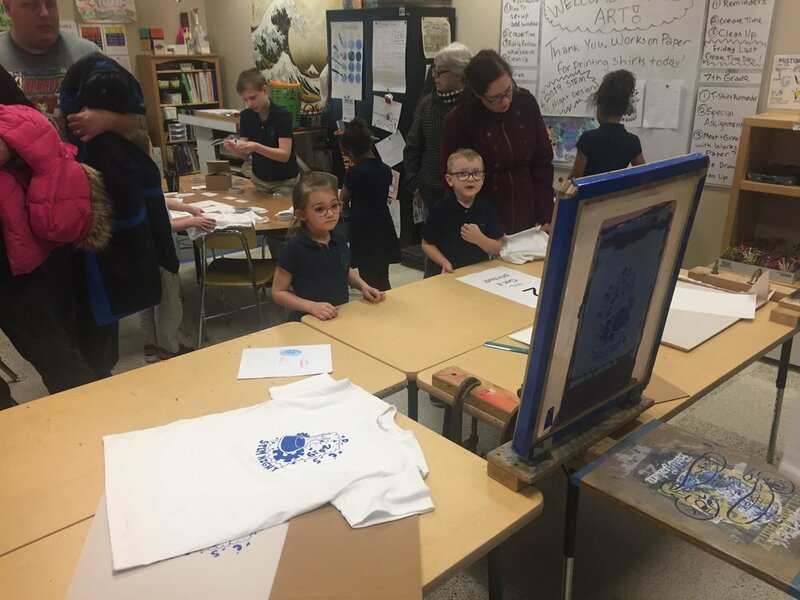 Students K-7 are creating Doodles for Google in Art currently as part of the 2019 Doodle for Google. National K-12 Contest sponsored by Google. Students are thinking like designers to create imaginative responses to this year’s theme: “When I grow up, I hope…” Students must include the word Google in their design. Students with parent/guardian permission may enter the contest! Be sure to have your child turn in their permission form if you want them to submit their design to Google! Doodle on everyone! Some of you may already be planning your summer breaks with your kiddos. I have found some Art classes and Opportunities hosted by surrounding Arts organizations that your children may find interesting. 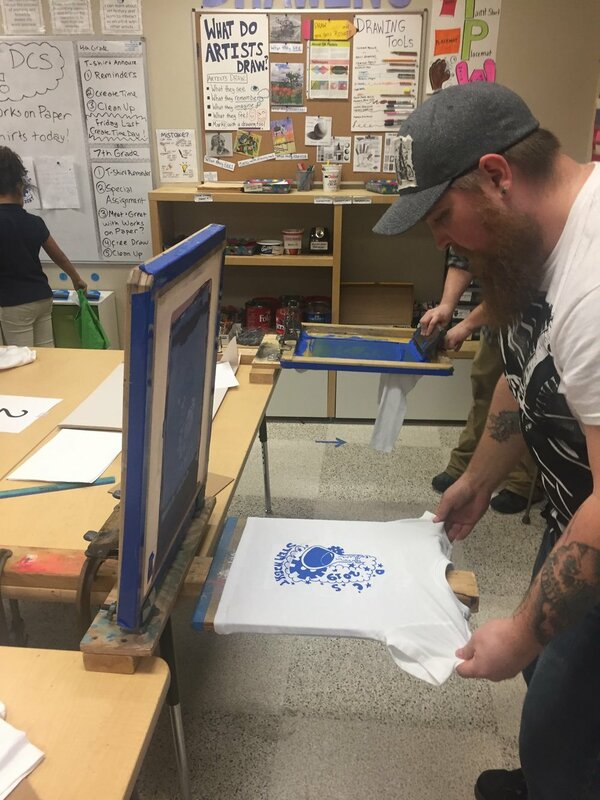 Art media ranges from drawing to painting to screenprinting! Some opportunities include the perfomring arts of music and dance. Be sure to check out the links below for more information! Some opportunities are free or at low cost! East Side Arts Council’s Artmobile Classes - Courses are free at various locations around the East St. Paul area, usually Saturdays from 1-3. Be sure to click on each location for a full list of upcoming classes: there are many to choose from! 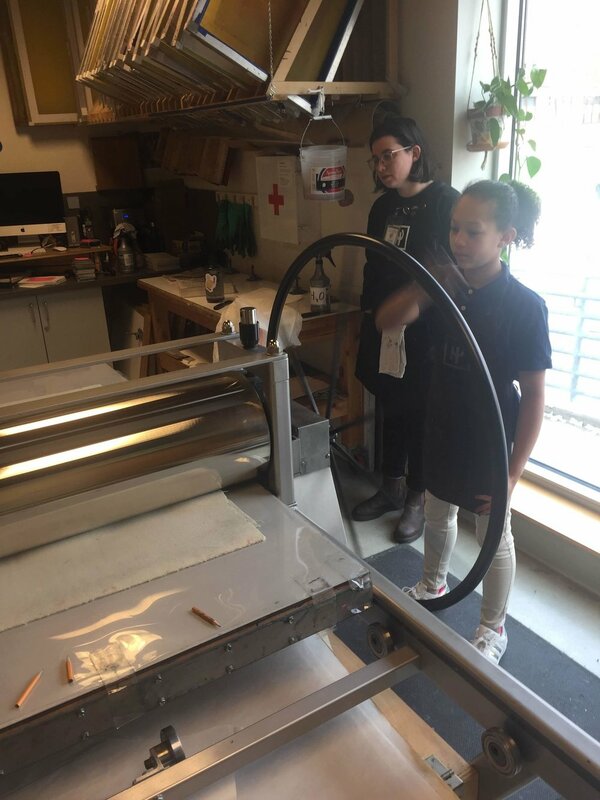 Highpoint Center for Printmaking, Minneapolis, MN - Highpoint offers many printmaking-related classes, camps, and events. Many are free or at low cost. Some you can do together as a family! The list currently represents Winter/Spring programming but will be updated to reflect summer courses soon. Thank you to all that came out to visit us during our STEM Night and Open House! 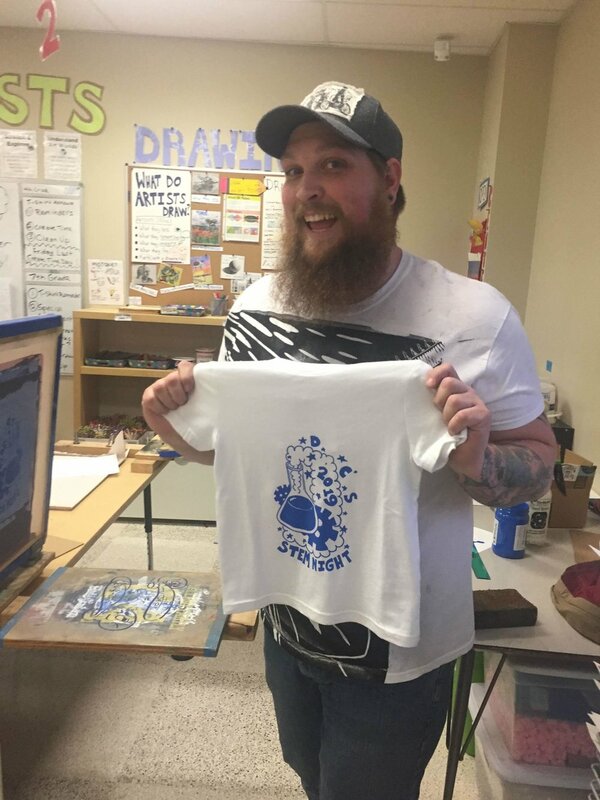 We had a blast printing shirts with Works On Paper Printmaking Organization from Minnesota State University, Mankato. 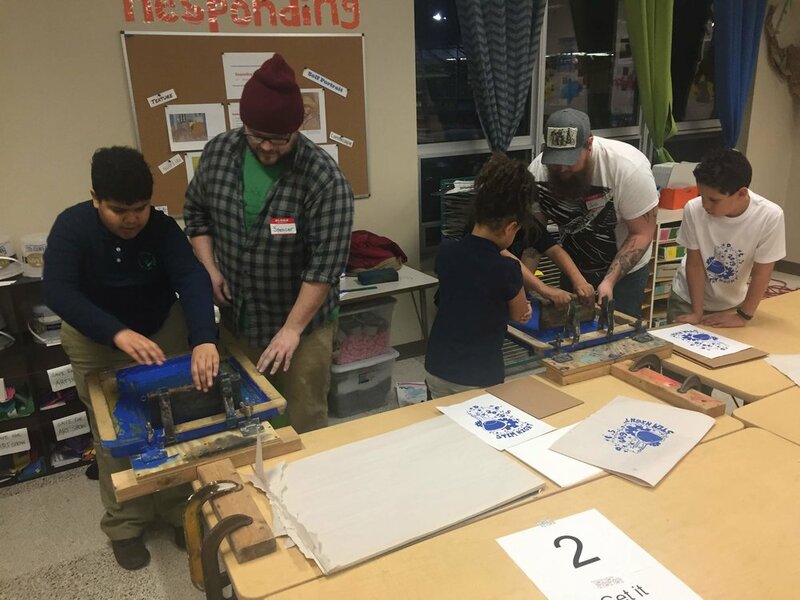 A huge thank you to the print club and to our students and parent volunteers that helped make the event so successful. Be sure to wear your 2019 STEM Night shirts during our next Spirit Wear Day! 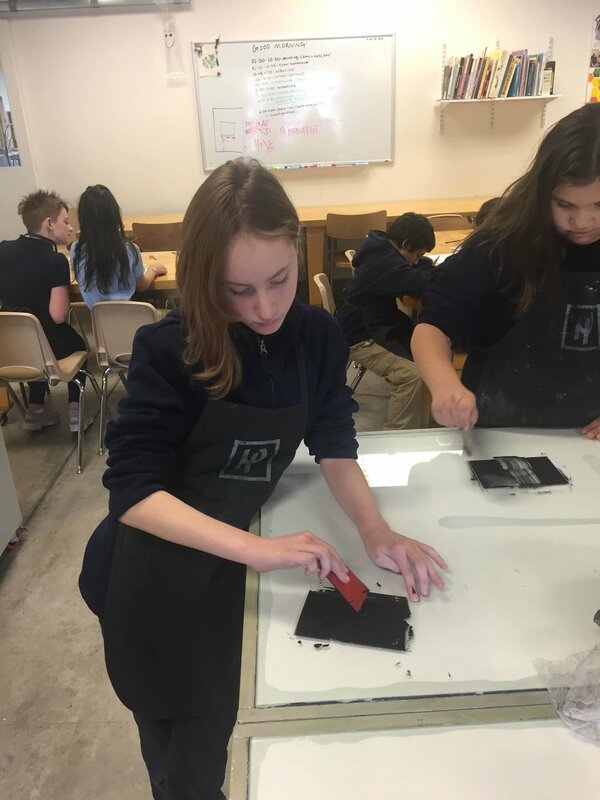 Thanks to the generosity of Highpoint Center for Printmaking, our fifth grade students were able to go to Highpoint Center for Printmaking located in Minneapolis, MN. 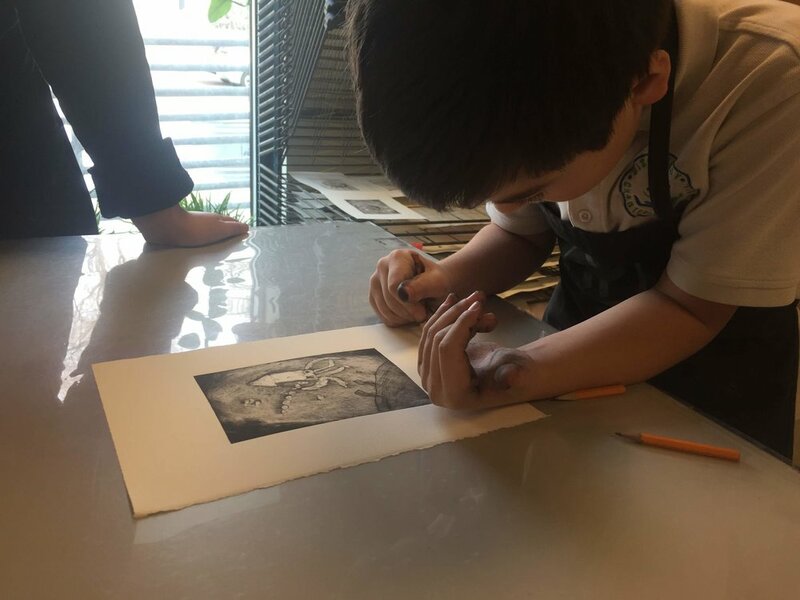 There, they were able to create drypoint intaglio prints. 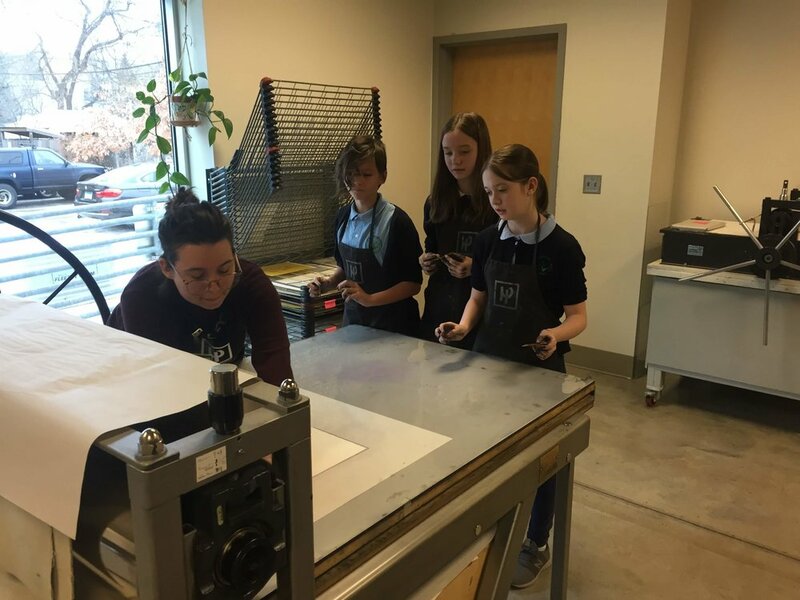 For some students this was their first printmaking experience. For others, this was their second print (we created collagraph prints in Art last year). 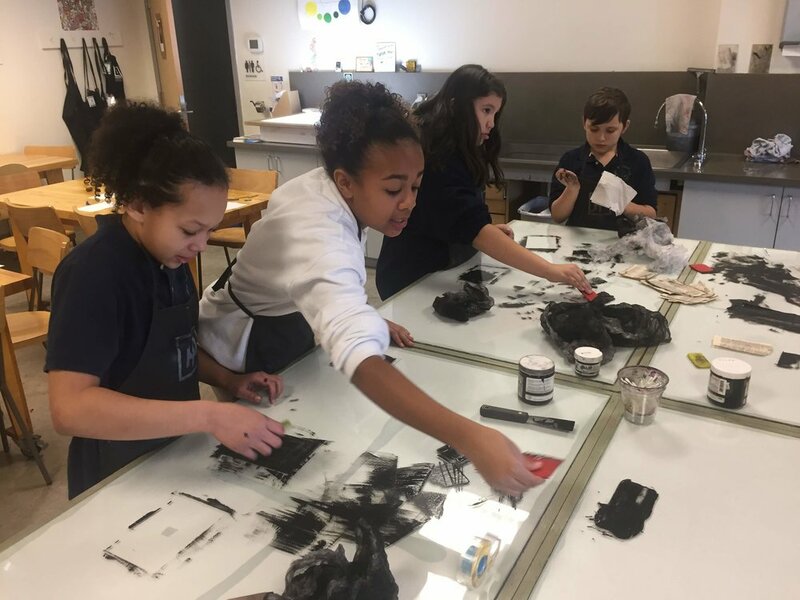 Students were able to expand their printmaking knowledge as they experienced a new way of creating prints with authentic fine art materials like intaglio inks, tarlatan, and the printmaking press! 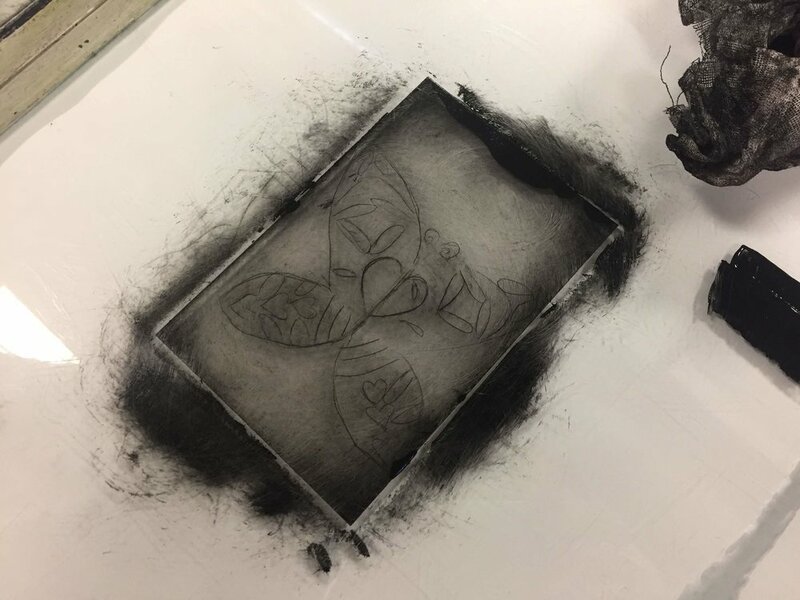 Check out Highpoint Center for Printmaking’s website for more info! Also be sure to visit Highpoint for their Free Ink Day coming up this March! 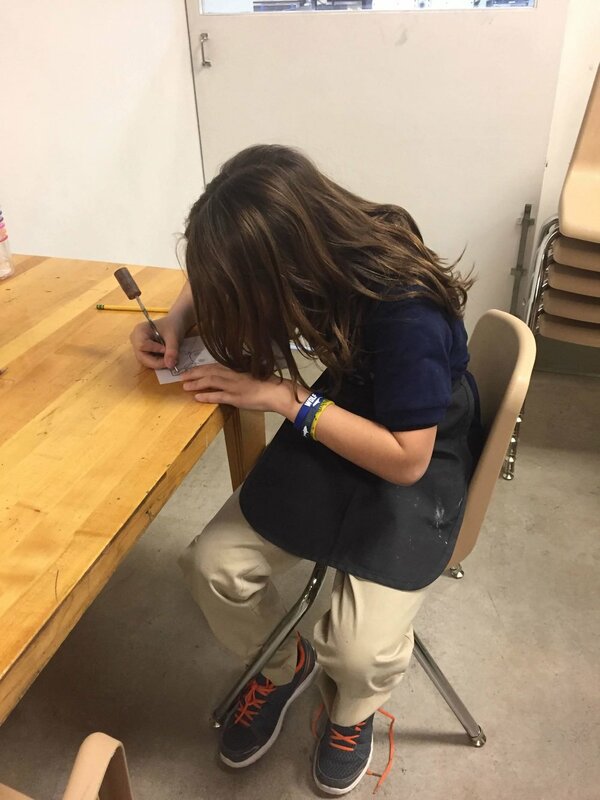 First grade artist, Olivia from Mrs. Johnson’s class, contemplates where to add her next line to her sculpture. This year, we kicked the year off with some 3D paper sculpting. Kindergarten and first graders created paper line sculptures. We learned about lines through singing, drawing, and identifying different kinds of lines: horizontal, diagonal, vertical, zig-zag, spiral, wavy, and organic. While creating their sculptures, artists learned how a sculpture takes up space and can be seen from all the way around. 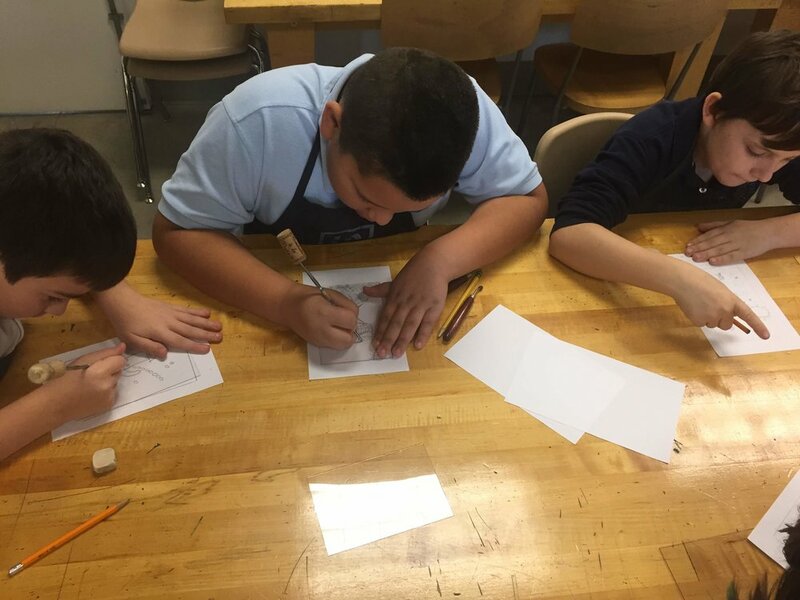 Artists learned how to make “feet” so their paper would stand up, how to use liquid glue, and how to create different kinds of lines out of paper. Artists also learned how to create shapes by “closing” their paper lines to create circles, tear drops, diamonds, and squares. Artists learned that they could place their lines around, beside, underneath, or on top of lines they have already attached to their sculpture base. Thank you, Cassie Stephens, an Art Educator in Tennessee, for the inspiration for this lesson. First grade artist, Loza, from Ms. Jacob’s class, adds zig-zag lines to her sculpture! Mrs. Johnson’s first grade class takes a moment to smile and show off their sculptures for the camera. Savion and Briar from Ms. Steven’s kindergarten class add to their paper sculptures. Isadora and Eli from Ms. Hosszu’s kindergarten class following the “dot dot not a lot” rule with their liquid glue! 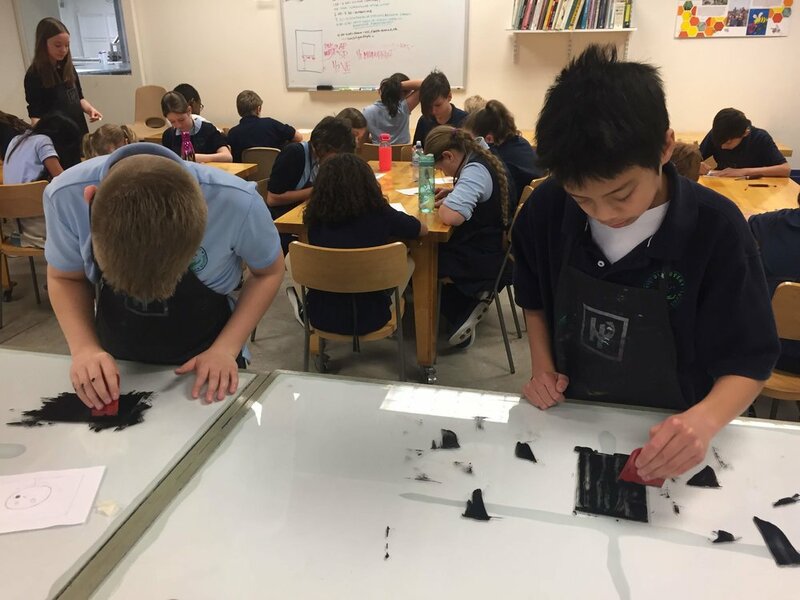 Students in grades two through seven experimented with the third dimension through paper sculpture as well. 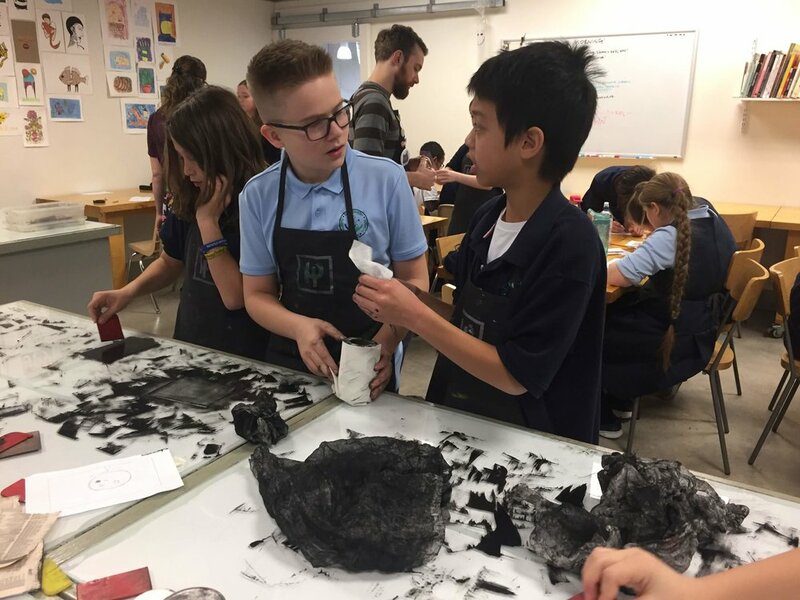 These students created their sculptures by visiting the 3D Paper Sculpture Center in the Art Room, set up with all the materials needed to create. The Center featured various colors and weights of papers, paper cutters, patterned scissors, glue sticks, liquid glue, scrap bins, and visual resources to aid with sculpture techniques and clean up protocol. Before sculpting, artists practiced three differentiated paper sculpting techniques on a techniques practice hand out. Artists were assessed on technique. Then, artists sketched ideas for their sculptures after looking at several examples for inspiration. Artists identified sculpting techniques they would use to construct their sculptures by labeling them on their sketches. After artists were introduced to the Center and how to access and put away materials, artists were able to begin creating. After completing their sculptures, students presented and critiqued their artwork in various ways: oral presentations to the class, oral partner assessment & critique, and written self assessment and critique. One of the visual resources in the 3D Paper Sculpture Center for artists to use while sculpting.